Pro Cycle hosts weekly shop group rides and special events. - Ride & Events Waiver must be signed prior to participation and will be kept on file for all future rides. - Please familiarize yourself with “Katie’s Momma Duck List”. - Please arrive early to allow yourself time before the ride leaves to prepare. *Beginning 20ish miles 17/18mph, remaining miles will be whatever pace you desire. *It has and will continue to be my goal to try to keep the group together until we hit a certain point in the ride where it tends to naturally break up. I try to have everyone identify who's in what group so communication can happen amongst the group. *This is a drop ride, however, if it is communicated to me I try to make sure no one is dropped. *Joseph's dad, Joe, leads this ride. He also "momma duck's" this ride, to make sure we all have fun, be safe, and the ride is what it is advertised! *Do not be discouraged if 9 miles seems like a lot. Someone will ride with you for the distance you are able to do. *I have been told that we average 27+mph. That would be awesome, however, we typically average 20+mph. Come play! *I, Katie, "momma duck" the heck out of this ride to make sure we all have fun, be safe, and the ride is what it is advertised! This is a NO DROP ride!!! *Eddy Merckx style is a drop bar or flat bar only, no aerobars! Person closest to their time gets $50! Yes, there are rules to this category! Electrical/timing equipment can not visible/accessible. Told you we have a category for everyone! No siting on the side of the road waiting for everyone to pass. We'll check Strava! *Pro Cycle will have water available. Family friendly, social, or faster pace ride along scenic Mobile Bay! *PACE – Ride the pace you want. Ride as far as you want and turn around. 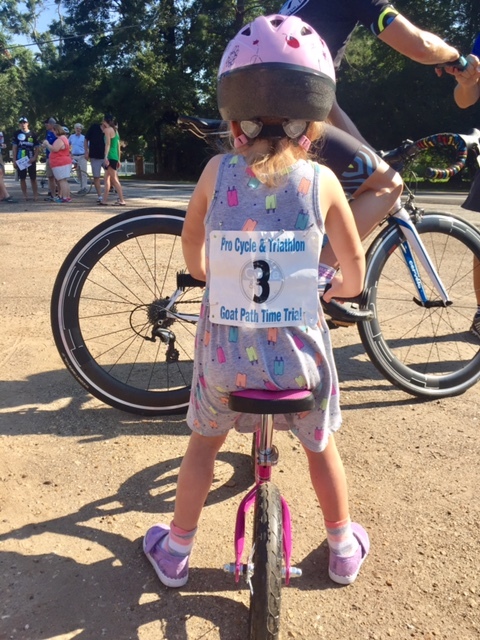 There is no official entry fee, but it is encouraged to bring a monetary donation, checks preferable, for the non-profit, Fairhope Cycling Project, in lieu of entry fee. Proceeds specifically from the Turkey Fondo will be used throughout Baldwin and Mobile Counties. Coffee and homemade goodies to be served post ride. Feel free to bring coffee additives of the adult variety. We've also had some delicious food brought in years past as well and we don't mind that at all! *Sadly, LAMB has been sacrificed to the growth and development of Baldwin County. Fort Morgan road has become too dangerous for a large group and there is no other way around it. Literally. We are working on an alternative and will let you know once we have one. Route - THERE IS NOT A SET ROUTE. * Not suited for all skill levels. If you have never done over 100+ miles you may want to sit this one out, this won't be our last LAMB we host and you will have future opportunities to conquer Mobile Bay. Feel free to meet up with the group and split off at any time. The ride will be LEAVING at 6:00am. Be sure to arrive and be ready to roll on time. Rear taillight required. This ride leaves in the dark. This ride requires the group to catch a ferry once we arrive at Dauphin Island. There is a ferry scheduled to leave at 9:30am and chances are that they won't be waiting on us. HOWEVER, we leave at 6:00am in hopes of making the earlier ferry BUT it is not guaranteed in the event of uncontrollable circumstances such as mechanicals, trains, etc. There is another ferry scheduled to leave at 11:00am. Click HERE for the Mobile Bay Ferry schedule. Moderate 18-20mph pace. We will make it a no drop so we will stick together. If you have doubts that you can handle this route and pace please be considerate so we can keep the group moving at a moderate pace, it will be a long day either way. This route can also get very windy. Be sure to bring ample cash for rest stops and the ferry. Thank you for the offer, but please do not have anyone volunteer to follow in a vehicle. 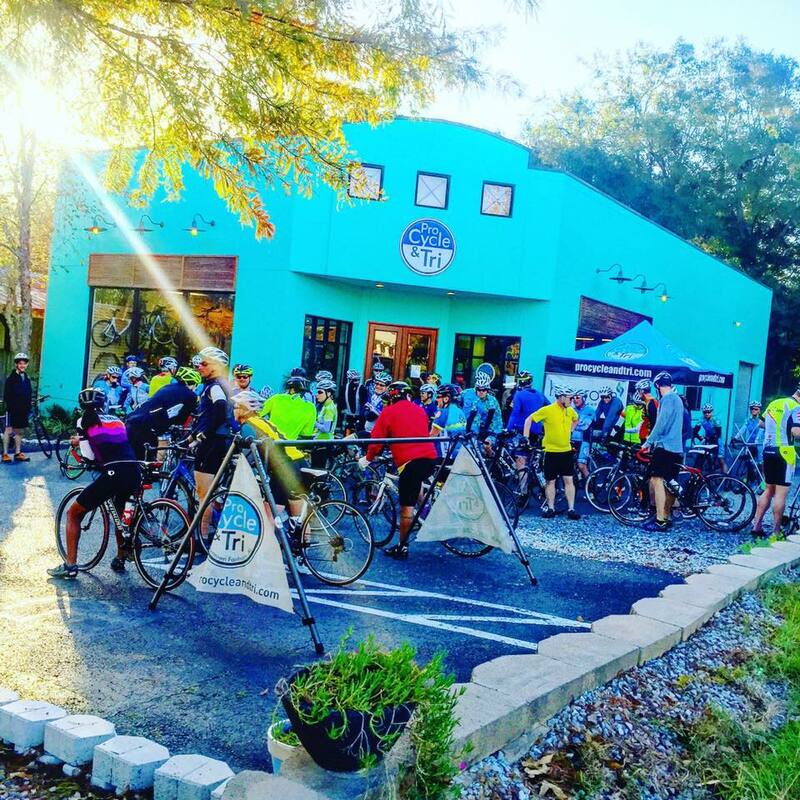 Located in beautiful Fairhope, AL and convenient to Mobile and Pensacola, we are the Gulf Coast's premier destination bicycle and triathlon pro shop and one of the top fit studios in the United States. We are a family owned company. Helping our clients reach their goals and providing them with the best service and products available is our #1 goal. We have a friendly and knowledgeable staff who are ready to help you with all of your cycling and triathlon needs.